A lawsuit was filed in a Minnesota federal court by a woman who received multiple epidural injections of a steroid product made by New England Compounding Center (NECC), a Massachusetts compounding pharmacy. The NECC steroid product has now been recalled due to possible contamination with fungus, both Aspergillus and Exserohilum. The lawsuit seeks damages for the woman and the creation of a class action in Minnesota. This is the first of what will most likely be hundreds of lawsuits filed in the states where the potentially contaminated NECC steriod products were distributed: California, Connecticut, Florida, Georgia, Idaho, Illinois, Indiana, Maryland, Michigan, Minnesota, Nevada, New Hampshire, New Jersey, New York, North Carolina, Ohio, Pennsylvania, Rhode Island, South Carolina, Tennessee, Texas, Virginia, and West Virginia. Attorney Fred Pritzker is representing patients from several of these states. “Patients with confirmed and suspected cases of meningitis and septic arthritis have the right to seek compensation for their injuries. 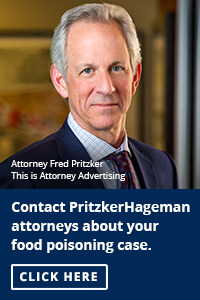 These kinds of cases are important both to ensure that patients are not left holding the bag financially and to hold all responsible parties responsible,” said Pritzker, who has substantial experience winning money for people sickened by contaminated products. Pritzker can be reached for a free consultation via his website. In addition to civil lawsuits, NECC executives may be facing a criminal investigation into the meningitis outbreak that now has 170 CDC-confirmed cases, 14 of them fatal. 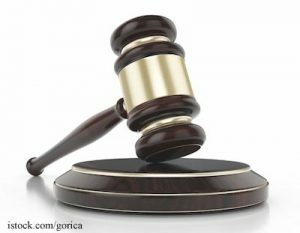 The civil lawsuit filed in Minnesota federal court is Barbe Puro v. New England Compounding Pharmacy Inc, U.S. District Court, District of Minnesota, No. 12-2605.